If you or a loved one has suffered a serious illness or disabling accident the experienced attorneys at Iler & Iler, LLP can help you get the benefits you are entitled. Unfortunately, valid claims for disability benefits, whether through the Social Security Administration or through a disability insurance policy, are routinely denied. Some are denied based on a technicality; the claimant failed to file the correct paperwork or missed a deadline. Others are denied because the claimant failed to properly document his or her disability with adequate medical evidence, i.e. reports from your treating doctor. At Iler & Iler, LLP we understand the personal, financial and emotional stress you are facing as a result of your inability to work. We can help you to properly document your file in the appeals stage or successfully litigate your claim if necessary, so that you can get the disability benefits you are entitled to. We have many years of experience in handling these types of claims and cases and we can help you pursue your disability claim on a contingency fee basis, meaning there are no upfront costs from you and we only get paid if we are successful in getting you your benefits or a settlement. 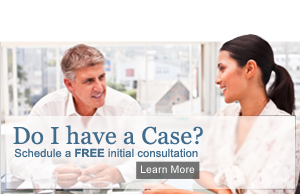 Contact Iler & Iler, LLP today for your free consultation.